Our “all in one” units are specifically designed for processing letterpress plates in a smaller production shop or educational setting where space is limited and easy operation are key. They combine all the process steps of exposure, washout, and drying and post-exposure in one machine. 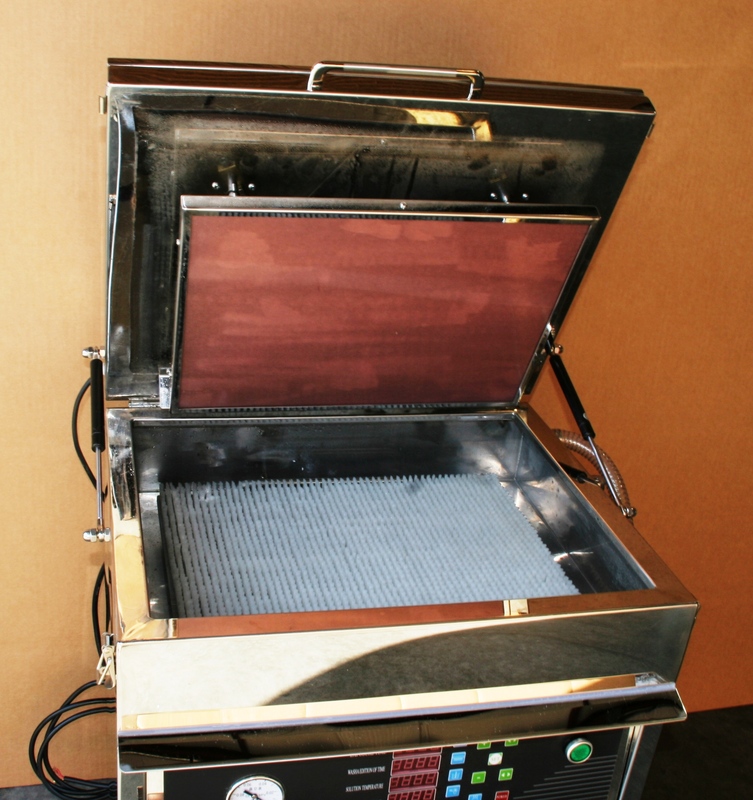 You will get reliable, top-quality processing for your letterpress plates with one of our 3 units sized to your needs. Our units are for water washout only, no chemicals necessary. 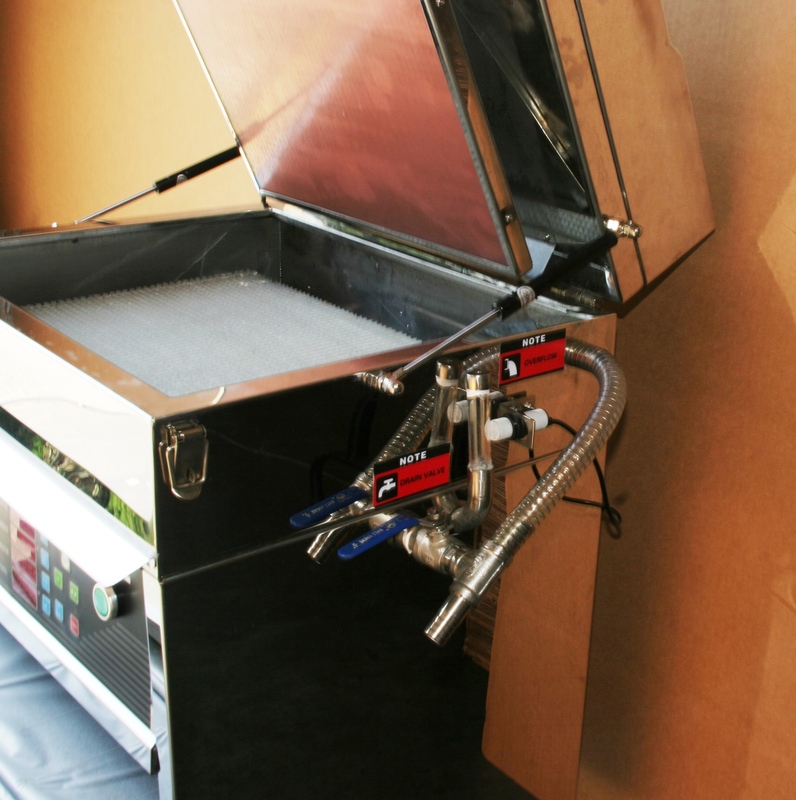 These multi-function machines use stainless steel construction and are rugged and easy to clean. 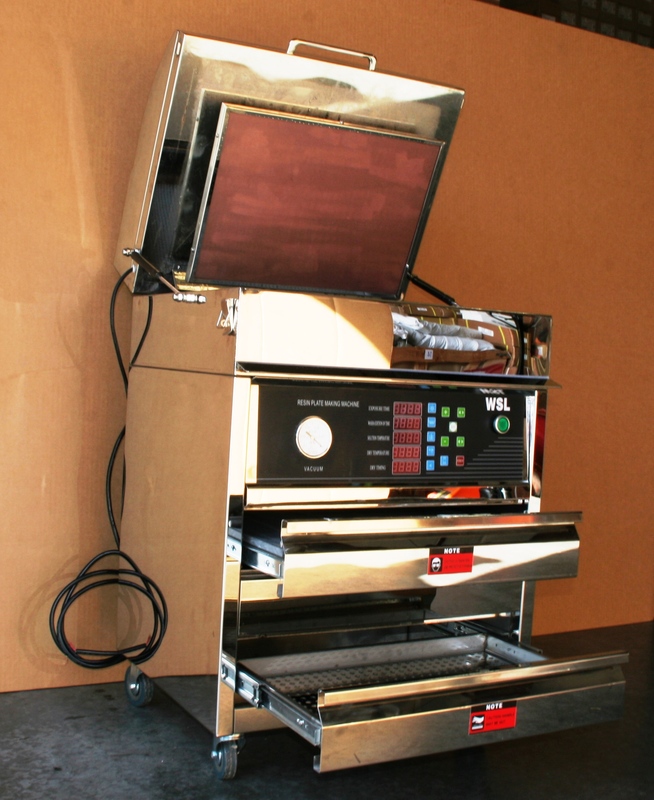 This machine handles all stages of platemaking: exposure, washout, and drying and post-exposing of plates. 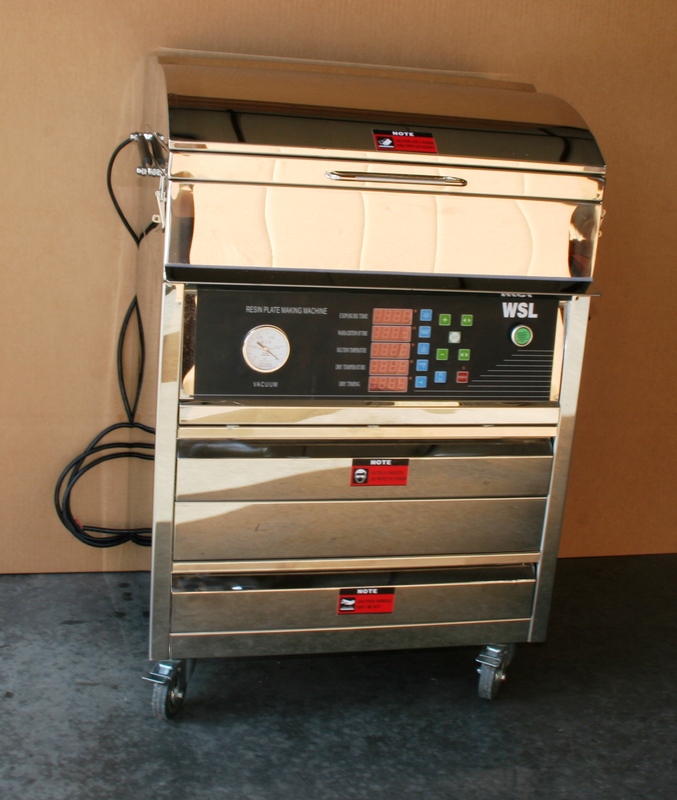 Features include programmable exposure and washout times, thermostatic controlled washout and oven sections, high output U/V exposure drawer with vacuum table, one to two drying drawers, and industrial strength casters for smooth mobility. Included in the unit are UV bulbs, kreene, drain valve, one panel of brushes on a PVC base, hosing, and red mounting rubber. The unit is equipped with a fluid level sensor. This is external and will stop the water heater from functioning if the water lever is low. Photopolymer platemakers arrive fully assembled but do not have an electrical plug. You will need a plumber to install a cold water inlet and drain and an electrician to install 220V single phase electrical per your building requirements and preferences. A drain kit is supplied with the unit so it can be hard plumbed or left alone and used as a bucket batch system. Delivery time: Our platemakers can take up to 8-10 weeks delivery time. Contact us for a specific delivery estimate and shipping fee. These platemakers are not UL Listed or CE Approved.